Getting a feel for a place on two feet is a sweet deal – and on two wheels, it’s even sweeter. Getting a feel for a place on two feet is a sweet deal – and on two wheels, it’s even sweeter. That goes double if the place in question happens to be Brisbane. Brisbane is a city of many virtues – perfect weather, chill city life, excellent nightlife – yet one of its most overlooked drawcards is the fact that it’s a mountain bikers’ paradise. With that in mind, we decided to take a peek at the wild terrain of Brisbane’s best and most-sought-after mountain bike spots, with a little something for every skill level. Grab that bike and tackle these trails. For twists and turns, fun angles and good vibes aplenty, Bunyaville’s your place. Located 12km north of the CBD, proximate to James Drysdale Recreation Reserve, you’ve got over nine sections of single track action choose from here, including Creek Track, Kokoda and Carnage (all snaking south of Jinkers between Collins Road Break). The 50m elevation at Bunyaville makes it an effortless stint for novices, while intermediates and beyond will still have a great time carving through the fun. Given its ease, accessibility and proximity to the city, it’s up there with Brisbane’s best. Remember: there are Airbnbs everywhere you go – take this peaceful nook in the adjacent area as case in point; nothing beats waking up to the sound of birds in the morning. Awaiting your arrival just southwest of the city (13km by car; 15km by bikeways), Gap Creek Reserve dishes up a lush bushland biking expanse, all within effortless CBD proximity. Nestled in and around Mt Coot-tha, you’ve got a bunch of excellent trails to choose from here, with varying degrees of angle, effort and flow. Whatever your skill level, Gap Creek’s got you covered. The 2.2km Rocket Frog Trail provides a fine beginners’ circuit, with minimal obstacle and easy angles; the 1.3km Gap Creek Circuit heats things up a little; while the 0.85km Pipeline pushes it to the limit with tough climbs and descents, rough sections, log rollovers and tight turns. You’ll need a little replenishment and a hearty feed after all that – check out nearby Kuta Café, and dine in style with amazing outdoor view from the Brisbane Lookout. A half-hour drive down the M1 from the CBD, Logan City’s Daisy Hill is another sweet – and totally accessible – mountain-biking refuge, with over 30 awesome, flowing trails to choose from, all cutting through an abundance of natural eucalypt forest and melaleuca wetlands. 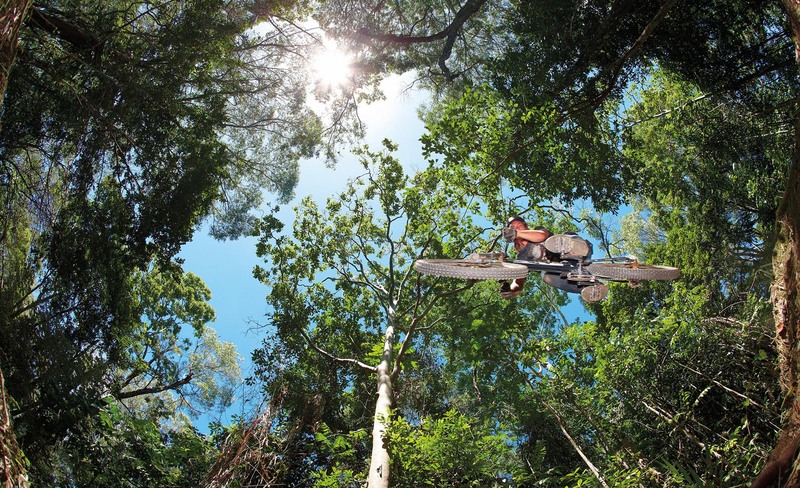 When you visit, you can spend some time learning about the local koalas at the Daisy Hill Koala Centre, then hit the trails for a day of keen bike action – the 1.3km Jumping Ant heads the list of the most popular and accessible, good for beginners early intermediates; the intermediate-friendly Mad Max 1, with its bridge and multi-drops; and the sweet jumps and berms of the 1.6km Wiry Panic (not as hectic as it sounds). Connecting Stringybark Creek and North Track, the 1km Koala Track makes for another fast and slightly more technical choice. When all’s said and done, kick back in style with a unique accomm choice – this sweet lodge comes complete with foosball table and outdoor tepee (as well as some stunning views of Daisy Hill itself). There are over 25 trails of biking glory at Cornubia, an oasis of gum- and fig-tree bushland just east of Mt Cotton (a little further southwest from Daisy Hill). This cross-country wonderland offers some of the city’s best and most-sought-after biking action, with excellent trails for beginners (including Sorceress, Bedwing and Vegie-Mite); intermediates (Wallum Froglet and Spangled Drongo); and black-run experts (Nirvana and Resurrection). If nothing else, the names certainly reflect the skill level required. Debrief afterwards on all the day’s action – and your respective competence – with a counter meal at Fitzy’s. Fifty kilometres from the city close to Redland Bay, we give you Bayview Conservation Park: another swell network of thrills, chills ‘n’ two-wheeled spills, with the 25-odd trails here pretty evenly split between beginner and intermediate levels. For the former, Wolf Peach is a sweet, effortless, non-technical run; for the latter, Sorceress, Blow and Flutter all ought to satiate the downhill lust. All in all, 60km of traily goodness, within a day trip’s reach. If nothing else, Hidden Vale is a rare find for the budding biker: a veritable heaven for the mountain-biking kind. Expect 50km-plus of single track action catering to every skill level across this 12,000-acre property, with most trails extending at least 4km to 5km (check out ‘The Epic’ trail for an 8km glory ride). Located an hour’s drive west of the city, you won’t be able to hide your thrill factor as you skid, glide and barrel through Hidden Vale’s exemplary array of trail adventure. If you’re keen to explore a little more of the area, check out nearby Laidley’s Pioneer Village and Museum, and tackle a quencher at the town’s beloved pub, the Old Brittania. As the name indicates, you get one of the most epic views of Brisbane and the whole region from atop the Scenic Rim. So too, at Mt Tamborine, one of the area’s most full-on single downhill trails: a 3.5km stretch encompassing some serious jumps and unrelenting speed (and, by virtue of that, expert-level skills are required to tackle this one). Start this beast at Wongawallan Road, Eagle Heights, and finish up at Welches Road in Wongawallan. As most locals will tell you, a shuttle back up the hill is the best way to get back (unless you like to do things to extremes). Consider shacking up in a bush chalet like this one and nestle yourself amongst a peaceful private rainforest garden. This article has been updated to remove mention of BMX. Ready to uncover everything Brisbane has to offer? 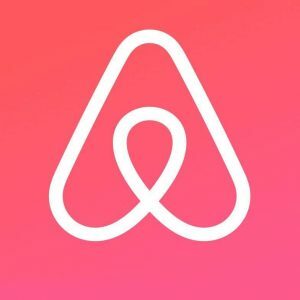 Book with Airbnb and start exploring today.